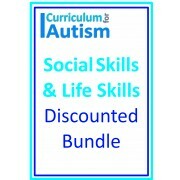 Save when you buy this item as part of a bundle! 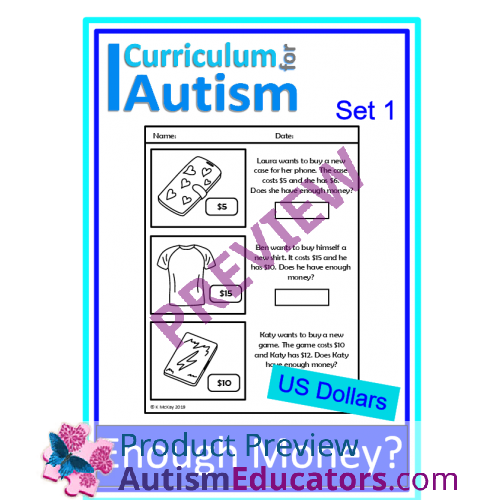 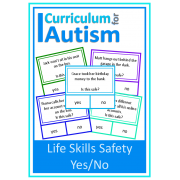 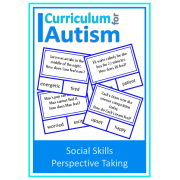 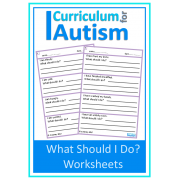 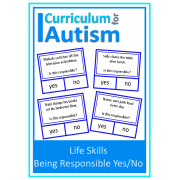 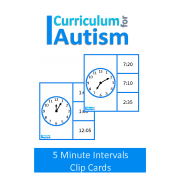 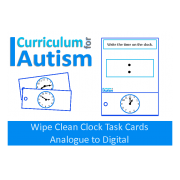 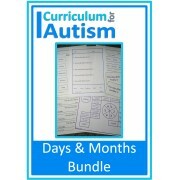 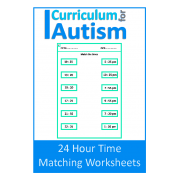 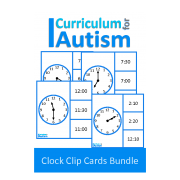 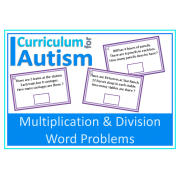 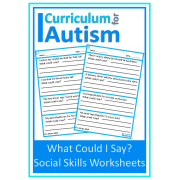 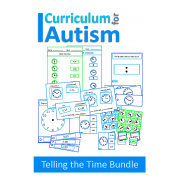 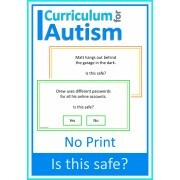 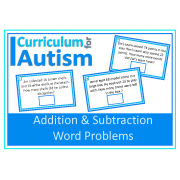 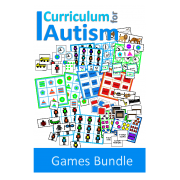 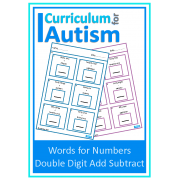 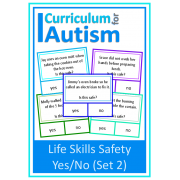 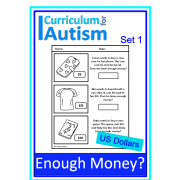 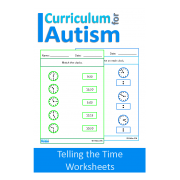 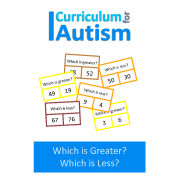 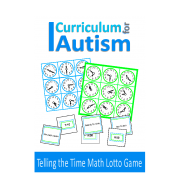 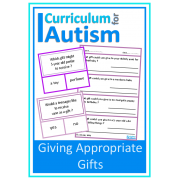 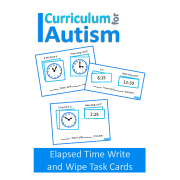 Enough Money Worksheets for students with autism and special education needs. 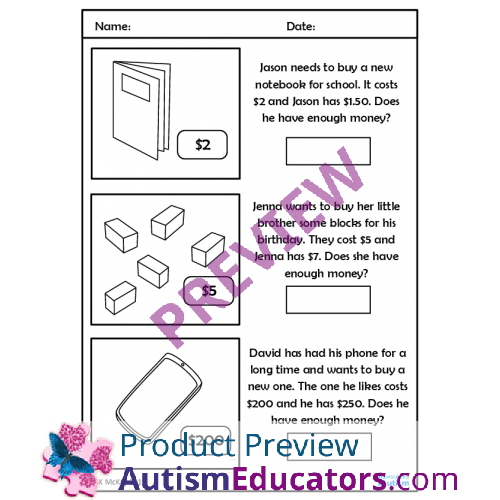 5 No Prep pages with real life shopping scenarios to develop budgeting skills. 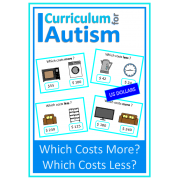 This is the US version, in dollars. 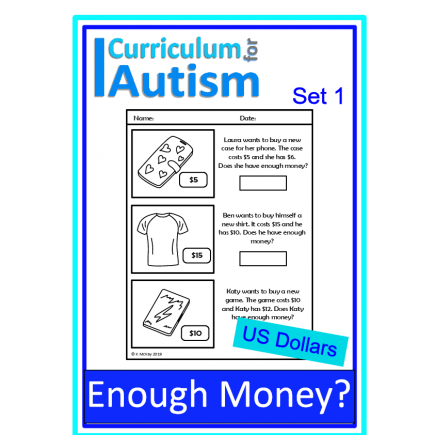 Given a written scenario which tells about an item that can be purchased and how much it costs, STUDENT will decide if he/she has enough money to buy the item, with 80% accuracy, in 4 out of 5 opportunities, by MONTH, YEAR.